Following the death of Jaki Liebezeit, Getintothis’ Jono Podmore offers a personal reflection of the life and times of the legendary Can drummer. 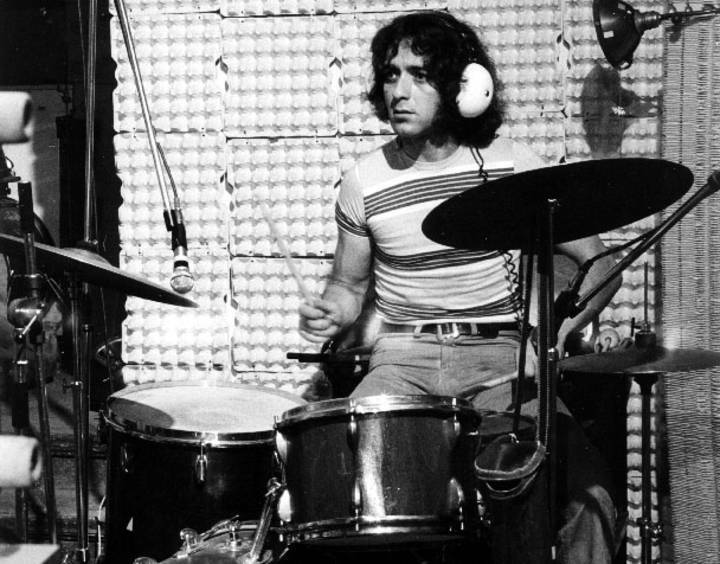 Jaki Liebezeit who died on Sunday January 22 was one of the great musicians of the 20th Century and as such his career shows the trajectory and development of much of the music in his lifetime. Born in Dresden in 1938 it’s hard to imagine the horrors and disruption he experienced as a child although he never talked about the war or his childhood, or even his parents. He had a disgust for egotism and displays of drama or self-pity so whatever was back there, stayed back there. He was playing jazz drums as a teenager with American servicemen, and in his early 20s moved to Barcelona and played with the likes of Chet Baker in the jazz clubs of the Catalan capital. This was no tourism, it was no year out for a young German to pack his bags (or, knowing Jaki, his single bag) and move down to Franco’s Catholic Nationalist Spain to live in the underground, in the resistance, largely under cover of darkness. This move was a political act, the reward for which was the opening up of one of the most important themes in Jaki‘s life: his lifelong study other cultures, particularly in terms of music and language. The rhythms of Flamenco and Arabian music fascinated him and he began to see forms and structures in music and technique that were cross-cultural. In 1963 he moved back to Cologne and began work with Free Jazz pioneer Manfred Schoof as a member of his quintet. Free Jazz obviously appealed to Jaki politically and theoretically, in fact free jazz is the ultimate example of a form that is a great idea on paper but in reality doesn’t quite achieve its promise. So while on tour with the quintet Jaki found himself playing among the hippy communes of 60’s Ibiza and from there followed the trail into Morocco and finally up the Atlas mountains to hear the Master Drummers of Joujouka. It’s probably a neat oversimplification to make sense of the story, but it was on this journey that he realised the role of the drummer was not to express himself, or tell a story. That what music needs from a drummer, that the way a drummer communicates with the audience and emotionally engages with them and uplifts them, is by getting it right. By playing the rhythm as cleanly, as regularly, as precisely as humanly possible. To set people free the drummer has to be disciplined, concentrated and pitiless. It was with this newly crystallised mind-set that Jaki returned to Cologne to be asked to contribute to an experimental arts group: Can. 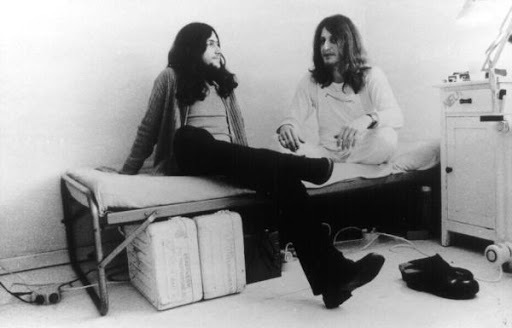 They were introspective and intellectual at first, but with the arrival of sculptor Malcolm Mooney, Jaki had another beat to play off and the monster groove machine at the heart of Can, the pounding pulse that wrenched them from a cerebral sub-Fluxus group into the juggernaut of Krautrock, was put decisively in gear. The whole world had been Waiting for the Streetcar and it had finally arrived. As Can developed so did Jaki’s groove mastery. He continued with his research into other cultures, particularly asymmetric rhythms (5/4, 7/8, 9/8 etc.) and began to recognise what he called regularities in drumming; natural laws that transcend cultural borders. It was during Can times that drum machines appeared and were, naturally, embraced by Jaki. A big inspiration was Sly and the Family Stone’s use of drum machines and soon the new technology was appearing on Can tracks. Jaki was practising playing with a machine that stayed mercilessly in time. His vision had become a reality and he was clearing the way for the entire methodology of contemporary drummers, and also setting the standard. By 1978 the wheels had fallen off the Can Lastkraftwagen and Jaki, with the help of Holger as producer, began working as a session drummer. According to Discogs, he appears on 439 recordings. Can, Eurythmics, Jah Wobble, Depeche Mode, Eno, The Jesus and Mary Chain, David Sylvian plus virtually every significant name in German post punk – and it’s definitely incomplete. He also recorded 3 albums with his own Phantomband before finding a kindred spirit in Jah Wobble. 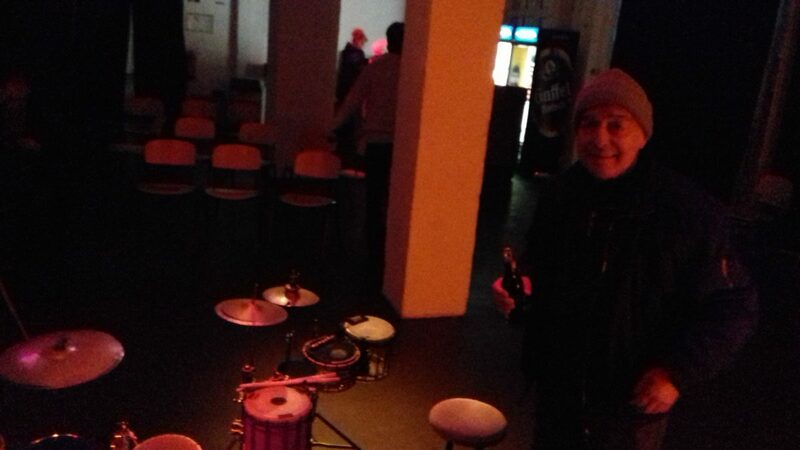 With Wobble’s Invaders of the Heart Jaki played with even more non-European musicians, deepening his understanding of the universality of music and rhythm, eventually developing his own drum system and theory based on E-T code. This has nothing to do with aliens (although the pun wasn’t lost on him) but was a systematic reduction of drumming technique, regardless of cultural origin, down to 2 basic polarities – the dot and the dash, or in Morse code E and T.
He applied and developed this theory and derived techniques with his band Drums Off Chaos – “no musicians only drummers” as he referred to them in an interview. I caught their last gig together in Cologne in December: as sharp and as mesmerisingly inventive as ever. Peculiarly with this band they had played together so much over the years that there was a sense of fun, a playfulness about their performance that belied the deep knowledge and theory behind their work. I first met Jaki in 1997. I was working with Irmin Schmidt on realising his opera Gormenghast. Jaki was one of the first musicians we got in to play on the pre-recorded part of the score (only the singers and a string quartet were live). I had excitedly prepared everything in the studio in Irmin’s house in Provence and Jaki arrived bang on time despite a 12 hour drive in his tiny car. I continued working with Jaki, visiting him and seeing him play over the next 20 years. I was with him in the studio the day after his son was born. We were working on tracks for his band Club Off Chaos and he was fooling around and overjoyed like any other young father, albeit in his 60s. Club off Chaos was a vehicle for Jaki to demonstrate his reductionist approach. A guitarist, a synth player and a drummer. He insisted they should be able to go on tour with just one piece of hand luggage each. On one of the first rehearsals he cut five of the six strings off the Dirk Herweg’s guitar, never to be replaced. He would play perfectly in time with Boris Polonski’s sequencers, but at a Club Off Chaos gig in Hamburg I saw him relax for a moment and smile whilst settling into one of Boris’s 11/8 rhythms. Then he missed a beat, unnoticed by 99% of the audience. A cloud came over his expression, his concentration and focus became absolute and he played flawlessly through the rest of the set. It was years before I saw him smile on stage again. He continued to make some fabulous records, particularly with Burnt Friedman releasing a whole series of Secret Rhythms albums. Later, together with Irmin Schmidt the four of us played together as Cyclopean, releasing an EP in 2013. This track, Fingers features Jaki exploring all the subtle stresses and balances of one of his favourite time signatures: 5/4. It was Jaki that told me the human heartbeat is in 5/4. In many ways he was a mentor to me. He was quiet to the point of taciturn sometimes for days on end but when he decided the time was right he would get a glint in his eye and impart some wisdom. About the relationship of rhythm and harmony, about breathing, about history, about Hindi, the pagan etymology of a particular word, the development of language and music… all things that would take weeks and months to sink in before I saw him again. Despite his knowledge and his stories, how he really expressed himself was with his sticks in his hands, which was most of his waking life. Jaki is survived by his son Ben, partner Birgit and a legion of those of us who have learned and gained so much from his talent, tenacity, knowledge and humility.